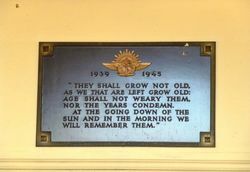 The plaque commemorates those who died in service or were killed in action during World War Two. 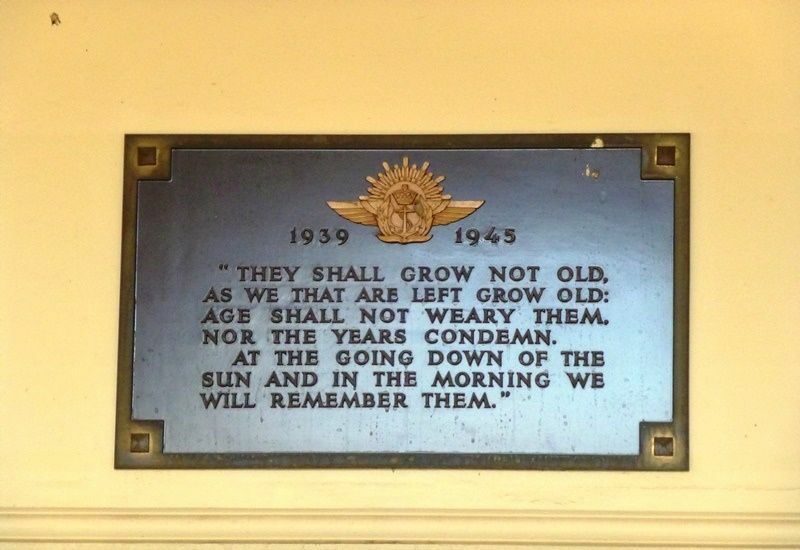 An order had been placed for an Honor Plaque to commemorate the dead of the 1939-45 World War, the retiring president of Molong sub-branch of the R.S.L. (Mr. J. Wright) said on Wednesday. 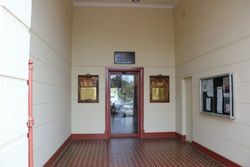 Mr. Wright, in delivering his report to the annual meeting of the R.S.L., added the plaque would be erected in the vestibule of the Town Hall and would he ready for the unveiling ceremony on Anzac Day.